With the development of computer technology, parallel port and serial port on the PC slowly disappeared, and now even the desktop are few parallel. But for engineers, parallel port and serial port are essential interfaces, especially the serial port. For those computers without serial port, the most convenient solution is to use a USB to serial chip to virtual a serial port out. Many manufacturers have the production of such chips, such as the CP210x series of Silicon LABS, TI's TUSB3410, CH34x series of Nanjing Qinheng , FT232 series of FTDI, Prolific’s PL230x series, Echo's ARK3116 and so on. From the perspective of stability, FT232 series is the most reliable, and you can use it to debug the procedures without worrying about the blue screen. 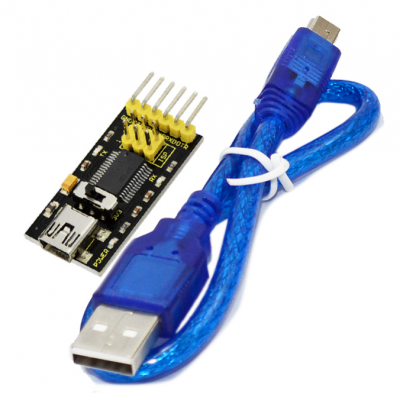 This is a USB to serial module, using the FT232RL chip. The module has a DIP switch used to control the serial communication voltage for 3.2V or 5V. 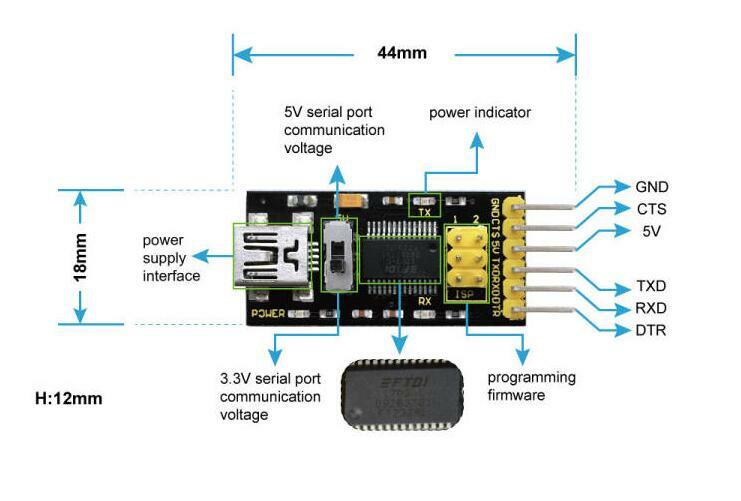 The module has a standard interface, compatible with various Arduino official controllers, such as arduino pro mini. Used as ordinary USB to serial TTL module, downloading STC microcontroller.